« The value of short passes: explained, then illustrated. The Redskins chanelled the Pedro Martinez of the Boston Red Sox and called the Giants “daddy” as the Giants continued their dominance of the Redskins, especially from the defensive side of the ball. Where if not for the fake field goal touchdown the Redskins would have gone three straight games with only putting up 7 points on the board against the Redskins. The Giants looked impressive and relatively healthy as really only kevin Dockery and Aaron Ross missed time because of injury in the game. Unfortunately in the game the Giants lost Hakeem Nicks and Dany Ware for the next two weeks, and Aaron Ross will not return either. 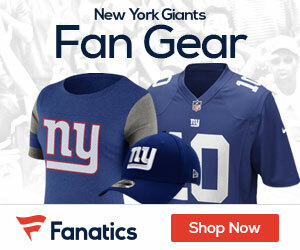 The Giants go from an N.F.C. East divisional opponet they man-handle to one that they have struggled against. While the Giants have won 2 of the last three meetings with the Cowboys, they have lost the last four, in the regular season that Tony Romo has started. The Giants have had trouble containing the Cowboys offensive attack and trouble protecing the passer (Eli Manning was sacked 12 times last year against Dallas! Which is about half of the sacks he recieved all of last season). On top of that the Cowboys will be opening up their new stadium, which has received a ton of publicityi especially about the low hanging scoreboad that goes from one 20 yard line to the other 20 yard line. What is not often mentioned is that it has an enormous capacity that rivals most large college stadiums. The capacity will be somewhere between 80,000-100,000, which is absolutely astonishing. (Bartolis Note I’ve seen it reported on ESPN that there will be approximately 104,000 people there on Sunday). The question is what kind of crowd is it? Rowdy football fans. Or Suits? Hopefully for the G-men it’s suits. That place could get REAL loud in a real hurry. A fast start is by the Cowboys is definitely something that the GIatns would like to avoid. One advantage the Giants have, is that they travel pretty well so it may not be ALL cowboys fans, but there will be a lot. The Cowboys are coming into this game fresh off a spanking of the Tampa Bay Buccaneers and are “gelling” under a new cohesiveness without Terrel Owens. By the way I’d like to mention that Every team that Terrell Owens has left lost more games without him than they did with him the year before. Something you Never see reported, anywhere. It’s true though. This weekend should be exciting, and I for one am amped. I have with me today at the Roundtable, Andrew Illinicki, Jeremey Fuchs, and Mark Picucci to review the Redskins game and to look ahead to the big game this weekend. Dominant on the defensive side of the ball. Two things, glad to see the wide receivers step up. I was sad to see Nicks go down but if he heals quickly I still believe he will be a great help this year and god is that defense good. Throw in Boley, Sintim, Ross and Dockery and man oh man it’s going to be fun this year. Heading into the Sunday, I predicted the Giants would control both sides of the ball and dictate that game… they clearly did. The Giants had the ball for more than 36 minutes and Jeff Feagles punted once, and not until the 3rd quarter — that speaks volumes. Overall I feel very good about their performance offensively and defensively. Well put by everyone. The first thing that I would have mentioned if I was asked this question is that the WR’s played well, which was a huge source of concern heading into the season. The play by Mario Manningham was spectacular, and a few more plays like that and I’m sure fans will start calling him “super Mario” or even a better nickname. What did you think of the Wide Receivers in the Redskins game? I was impressed. Mario Manningham showed flashes of greatness. His touchdown play was particularly impressive. Steve Smith was impressive, as well. People were panicking after he dropped that ball in preseason, but this is a guy who is as sure handed as it gets. He’s going to be the next Amani Toomer. I thought Kevin Boss was good, showing he can be an elite Tight End. Domenik Hixon is someone, I think, who will emerge as a big play threat this year. He’s fast, big, and runs good routes. Overall, you couldn’t ask for much more. I have been a big Domenix HIson fan all year, although he didnt’ show us much in this past game, I think he will be a factor during the season. I liked that the Giatns used him to return punts and am interested to see if they will do that this weekend without the presence of Hakeem Nicks. While the passing looked great the Giants had some problems with the running game, especially in short yardage situations where they were unable to convert on third and short as well as one fourth and short play that led to a turnover on downs deep in the Redskins territory. To further complext matters Danny Ware dislocated his elbow and will miss at least two weeks. The Giants had to search outside the organization (chose to) and brought in T.J. Duckett, Domnic Rhodes, and a few other players, but decided to claim Gartrell Johnson, a fourth round pick from the Chargers instead. Interesting becuase you think T.J. Duckett could definitely help out in some cases, but I think this move signifies that they will move ahead with four running backs the rest of the season becuase if the Chargers couldn’t get Johnson through the waivers to move him to the practice squad the Giants will not be able to either. Any concerns about the running game going forward? Aside from the loss of Danny Ware with the elbow injury…. no, I don’t really have any concerns with how the Giants ran the football Sunday. In fact I LOVE seeing the Jacobs / Bradshaw tandem this year on a more exclusive basis. It brings back good memories of 2007 I guess. Going forward I think the Giants running game will flourish especially when you roll in the addition of more dump off passes for both Jacobs and Bradshaw. The only real criticism I have is not converting short yardages, but my gripe is not with the backs themselves, or the o-line for that matter – but with the coordinator’s decision to predictably and repeatedly call the same running plays in short yardage situations to no avail. This is something the Giants have been unsuccessful with and struggled to overcome since last season – right up into the playoffs where this issue should still be at the forefront of everyone’s mind. I mean isn’t the definition of insanity doing something over and over the same exact way, expecting different results? Let me be clear on this point, these short yardage and goal line stands are NOT A FLUKE. They struggled in this EXACT situation last year in Pittsburgh, against Baltimore, and most notably twice against Philadelphia, once in the regular season and again in the playoffs. The bitter taste in the Giants’ mouth this year is due to not converting these situations all last year. Believe it gang, this is a recurring issue and a glaring problem area – and it’s clear now that sparse execution is not the issue. The tactic itself needs to change, plain and simple. The play calls in these situations NEED to change. When a team can predict with 100% certainty what you are going to do, and then you do it — that in and of itself is a problem. So with that said, might I suggest fakin a run and rolling out, hitting a TE for a first down or perhaps even a score? Incorporating some kind of fake is automatically going to improve your chances because it keeps the defense honest the second you do it…. they can’t load up on you in confidence the second you introduce a passing threat and have success doing so. But doing ANYTHING differently in that situation may be a better option given their long lack of success executing a straight ahead run to a stacked wall… call me crazy. Along the same token I asked Fuchs about the injury to Danny Ware and the time Hakeem “The Dream” as Andrew likes to call him, will miss. What do the Giants do if Danny Ware misses extended time? Same thing with Hakeem Nicks (God, I hope not). It looks like Ware and Nicks will only be out for 2-3 weeks, so that’s a positive. They’ll probably sign Allen Patrick off the practice squad. He impressed me in preseason duty. He’s a strong back, who fights for extra yardage. I don’t know if they will miss that much will Patrick in there. As for Nicks, you”ll see more of Big Ramses Barden. You hope that they would use him in the red zone. He has a lot to learn, but his size cannot be ignored. I’m not sure if Ramses Barden will make an appearance in this game, although I would love to see it happen. He’s a huge target, exceptional blocker and could provide a boost in the red-zone. The Giants have to de-activate 8 players on game day we know that Hakeem Nicks, Danny Ware, and Aaron Ross will not play on Sunday so they have to find five more who will sit out the game instead of Ramses Barden in order to get him involved on Sunday. Bartolis Note: I sent out these questions before the Giants claimed Gartrell Johnson off waviers and released Allen Patrick. What did we see from Chris Canty and Rocky Bernard in the Giants/Redskins game? Statistically we didn’t see too much from Canty and Bernard. What the stats don’t show is that they provided much needed depth to the d-line so the unit as a whole could keep after the Skins all game long. If those guys aren’t there maybe Osi doesn’t cause that fumble and score. I agree, I forgot how big Chris Canty is. He is mammoth. He should certainly provide a boost in the run defense, he looked, to me a bit out of shape, which is to be expected because he really missed almost all of training camp, but hopefully when he gets back into shape we’ll see a little bit more explosiveness. If he can provide a push in the pass game as well this line could be absolutely dominant. The secondary was Super thin this past weekend, missing their number two and number three or four cornerback…yet they held the passing game in check? What did you see from the secondary..
Terrell Thomas and Bruce Johnson sure did a nice job filling in, and obviously Corey Webster completely frustrated and eliminated Santana Moss as a factor. Stepping up to help stop the run was mostly on time, and the corners were able to get physical as needed — Terrell Thomas had a couple of bone crunching hits to deaden the Redskin rushing attempts. Of course, we can expect as Aaron Ross and and Kevin Dockery get healthy the Giants secondary will fill out really well in depth. But the much needed experience from these backups in the first few games will strengthen the unit as a whole, and down the road this early experience will be invaluable when these guys are called on to step in and step it up. Unfortunately, I was not impressed with CC Brown in coverage, particularly on that last Redskins drive. But to be fair he was more a victim of the Prevent defensive scheme than anything he did on his own. By trying to prevent the huge play, the Giants gave up several big plays for a late score. They didn’t get in Campbell’s face because the pass rush was not there and they were unable to cover the receivers for short passes… and we all know how I feel about short passes and their potential for exploding into big plays. Tom Coughlin mentioned his distaste for the way the Skins were able to streak right down the field at the end in his press conference, and I would like to think going forward that the Giants adjust to this and I hope they find a way to keep the pressure on the QB in tight 4th quarter situations and not blow coverage so openly like they did Sunday. Next Sunday against the Cowboys will be another similar test for the secondary and we’ve seen what Dallas and their receiving core can do with blown coverage. I want to see pressure, convergence, and I want to see guys hit immediately after they catch a ball if they’re so lucky. Stepping up and being overly physical particularly in the secondary is one way to shut the crowd up when you’re on the road… and the Giants have the tools to do just that. I want to spend my energy commending the play of rookie Bruce Johnson. People might get upset that the Giants used three draft picks that are not on their roster (Stoney Woodson, DeAndre Wright, and Rhett Bomar) but it’s clear the Giants had two objectives in the last three rounds. Find a developmental Quarterback. Done. And fine depth in the secondary. Done. Although it did not come from a draft pick, the addition of Bruce Johnson gives another player for the Giants to groom and coach incase Kevin Dockery leaves after the season. So mission accomplished. We’ll see how much Johnson plays as we continue in the season. This weekend I’m sure he’ll play some because Aaron Ross is out and Dockery will not be at full strength. Lawrence Tynes said he made “adjustments to his mechanics?” How did he look to you in the game? He looked great. Look, Tynes will make a long kick, and the miss a 23 yarder. He’s weirdly inconsistent. But his leg is big enough that you deal with the mistakes. But, if he kicks like he did yesterday, maybe consistency won’t be an issue. His leg is bigger than Carney’s leg is and I thought Carney killed us last year in the KR game. Next year the Giants could find an upgrade at Kicker, but for now Tynes is better than he gets credit for. Albert Haynesworth said that tackling like Jacobs is “just like tackling anyone else” and that “I weighed 250 pounds in 10th grade”…was I the only one laughing when the first time he went head on with Jacobs he had limped over to the sideline and missed a few plays he otherwise wouldn’t have? What do you have to say, Mark? Brandon Jacobs is a beast! He plays with raw emotion and when that train gets rolling I don’t care how big you are it’s going to hurt. You know when they collided Haynesworth was hurting. How will the New Quad-trillion (not true number) dollar stadium impact this game? Not much, both teams dislike each other enough and should have plenty of motivation. It will affect TV ratings more then the outcome of this game. The Giants struggled in the old Cowboy Stadium, maybe this will be a change for the better. I didn’t watch the Cowboys take on the Buccaneers, but I did box-score watch. And a couple things stood out, first was the Cowboys did put up huge passing numbers without Terrell Owens. Is the performance that the Cowboys Wide Receivers put up on Sunday more of a product of a cohesive team unit, or the fact that they were playing the Tampa Bay Buccaneers (one of my “sure bets” to finish with one of the three worst records in the N.F.L.? It always helps that the coverage breaks down, however you still have to make the pitch and catch. The Cowboys executed where the Bucs fell down, and while you hate to asign blame rather than credit, you can mostly chalk it up as blown coverage instead of amazing offensive cohesion. I think Tampa Bay made it extremely easy for Tony Romo to find his options. It harkens back to what Eli Manning said the other day after practice — it’s not like you have to bomb it down the field to make big plays happen, sometimes you just have to hit your receivers while they’re in motion and if they can make a defender miss it turns into a game changing play. I think the Cowboys were in sync to a degree but at the same time, they were able to capitalize on the defense’s lack of communication – they were able to turn a couple of routine assignments into back breaking scores. On another note, I did not actually see Derrick Ward play but it looks like he’s able to do his thing down there and be productive, I wish him the best. I, for one, do not believe in the Cowboys Wide Reciers as much as everyone else does. Roy Williams had ONE 1,000 yard season in his career before he was traded to the Cowboys, yet everyone made him out to be like a top 10 WR. He is not. Miles Austin is fast as is Patrick Crayton, but I dont’ think their WR corps is better than the Giants. The other thing I noticed was the Cowboys porous run defense, I wanted to know what Mark thought. Cadillac Williams carried the ball 13 times for 97 yards (7.46 yards per carry), and Derrick Ward carried the ball 12 times for 62 yards (5.16 yards per carry) against the Cowboys this past weekend? Does that say anything about their run defense…? The Cowboys couldn’t stop the Bucs last week. This sets up great for the Giants. Look for the GMEN to pound the ball into the heart of the Cowboys defense and try to draw the safety into the box. IF they can run effectively look for the big play to come downfield via play action. The Giants are not the Buccaneers their line is better their running backs are better and their Quarterback is better. If the Giatns receive that defensive performace from the Cowboys, it could be a long game. The other story line is of course DeMarus Ware. One of the best pass rushers in the game, and a guy who has given the Giants a lot of problems. Who is the X-Factor for the Cowboys to beat the Giants this weekend. DeMarcus Ware. He’s such an explosive pass rusher. If he goes wild, Eli will have a rough night. If David Diehl can contain him, they have a chance of winning. I think Ware is the best defensive player in the NFL. He’s so important to what Dallas does on defense. And while he’s a big name, you have to have an eye on him at all times. He’s too good to ignore. I also think Felix Jones is another X-Factor. Don’t be surprised to see him in WildCat formations. Does David Diehl handle DeMarcus Ware in this game? Considering the job he did on helping to contain Albert Haynesworth – and considering this is the beginning of the year and everyone is still relatively fresh I say he can handle the task at keeping Ware in check, but I would not say he could handle Ware period. You’re talking about an elite all-pro sacking machine whose performance last season was nothing short of phenomenal… and the kind of pressure the Cowboys typically get on Eli Manning always disturbs me. To me this is a key to the game, the Giants need to be able to manage Ware’s presence in such a way that they utilize short and quick passing opportunities — which keeps the ball moving forward, wearing out the defense, and they can control the flow of the game just like they did last Sunday against the Redskins. Unless Diehl and the rest of the line can hold the Cowboys to 3 sacks or less, the Giants have a hard time amassing points and winning this game because it will be that much harder for Eli to find his receivers and make things happen by throwing the football. It’s easier said than done, I’m sure you’ll agree. Ware scares me. I have maintained that while the Giants offensive unit is good as a whole, their individual parts are not exceptional (O’hara and Snee are, Suebert is very good). I think Diehl will struggle at times and the Giants have to use short passes, screen passes, and slants to counteract Ware in my opinion. We’ll see what happens. It should be entirely obvious that the New York Giants have to game-plan for DeMarcus Ware. One of the best pass rushers in the entire league and while I believe that those numbers come partly from the system and he wouldn’t have so many sacks as a 3-4 OLB. The fact of the matter is he can hit you good. Like I also said above nearly half the sacks the line gave up last season came from the Cowboys last season. David Diehl can NOT hang with DeMarcus Ware. We’ll have to run screens, slants, draws, and counters to take advantage of DeMarcus Ware propensity to over-pursue like all big time superbly athletic pass rushers do. Fuchs mentioned Felix Jones as an X-factor in this game and I think for sure it could be. So I asked Mark about the X-Factor in this game for the Giants. Who’s the “under-the-radar” player that fans will notice in the Giants-Cowboys game? This week I think the surprise player will be Chase Blackburn. He was all over the field on Sunday, every time I looked at the pile there was Blackburn. He might not be on the field as much this week but when he does get on the turf expect him to be around the ball. Don’t be surprised to see him make some special team coverage plays as well. Blackburn is solid and knowledgeable, but not exceptional. I think Felix Jones scares me so I hope to see Michael Boley on the field a lot and Blackburn on the field little. Boley is a fantastic coverage linebacker and Blackburn is not. I think Boley is important. I also think that Clint Sintim, if healthy could be the “under-the-radar” player in this game. I think the Giants should load up Tuck at Defensive Tackle and Kiwanuka or Umeniyora on the edge (with the other one of those on the edge) and line up Clint Sintim on the same edge with Tuck and one of the Defensive Ends and bring them all and see if the ‘Boys can block him. This week the New York Giants should return: Aaron Ross, Kevin Dockery, Clint Sintim, and Michael Boley…what will we see from these players in the Giants/Cowboys Game? Not much, in all honesty. Bruce Johnson was incredibly impressive in nickel duties. If they don’t have to rush Dockery in, they won’t. If Ross goes, he’ll start, but I’m starting to like Terrell Thomas a bit more. He’s more athletic. I think you’ll see a mixture of Ross and Thomas on Patrick Crayton. I think Boley will be eased in. We don’t know how his hip is going to hold up. What’s his grasp of the defense? Too many questions for the Giants just to throw him into the fire. Same with Sintim. You might see him in pass rushing situations, but he’ll be eased in. After I sent out the questions for the Roundtable it was reported that Aaron Ross will most likely miss week 2 in Dallas. So only Sintim, Boley, and Dockery should return. And hopefully no one else is out. Anything else you want to add….? I feel that the Giants Cowboys game will be the best match-up of week 2. It should be a good one. The last time the Giants and Cowboys met, the Giants Defense down the stretch got trampled by the Cowboys reliance on the QB draw play. They could not pick up or stop the run, and they could not put any points on the board. The play calling had not adjusted to the loss of Plaxico Burress and Brandon Jacobs was out with a knee injury. Contrast that with this Sunday, I expect a young hungry Giants Defensive unit to all but stop Dallas’ rushing attack, tough physical tackles, maybe a forced fumble gets into the mix. I expect an uncomfortable day from Tony Romo who gets pressured from all sides and can’t quite find his way out of the pocket the way he’d like, it leads to one interception. Romo shakes it off, makes some things happen and gets some points on the board but under lots of duress all day, he pays for playmaking in the end. I think Eli overcomes some early pressure and once the crowd settles down Manning get in rhythm he finds his receivers and backs on short passes, they are able to block well downfield, and it transitions from early smashmouth football to finesse play calling at its best. Both teams will rely on the air attack especially late in the game and both Romo and Manning come away with some nice accurate shots and scores taken deep down the field. I see the Giants utilizing Kevin Boss more in this game, particularly around the goal line to get over their Red Zone woes. Jacobs and Bradshaw have a field day both on the ground and catching out of the backfield, 200+ yards combined and are good for 2+ scores. The Giants have a more complete game than the Cowboys as a result, and the Giants come away with their second divisional win, this time in Jerry Jone’s house, in a most gratifying fashion. I would hate to agree with Fuchs, but I am not optimistic about this game. I think the Giants can play very well, but I really think it’s a toss-up. The stadium is enormous, and while that won’t faze the Giants, it might actually make Dallas concentrate on the game at hand. Dallas is one of the most physically gifted and athletic teams in the league, their problems mostly arise from poor coaching, stupid mistakes, a lack of concentration, and missed executations. Despite that Dallas has played exceptionally well in the first month of the season and I would expect no different this weekend. IF the Giants win this game they will face Tampa Bay, Kansas City, and Oakland in three consecutive weeks and a win this weekend could propel the Giants to a 5-0 lead in the division (the Eagles get the Saints this week, Kansas City, and the dreaded week 4 bye). I think it will be an exciting game, I think Eli manning will play well and I hope we come out with a victory. I would like to see how Hakeem Nicks would handle this came…he was always at his best in big games in college, but unfortunately we’ll have to wait until later in the season. A few things that weren’t mentioned in this preview were the presence of Jason Witten. He’s awesome. Martellus Bennett is a player I think could be the suprise player for the Cowboys, he’s also very good. And the lack of depth for the Dallas Cowboys team, I don’ t buy their depth at all. I think they are much more susceptible to injury than the Giants are, although right now the Giants are dealing with a lot of nagging injuries. Lastly let’s not forget that Chris Canty is coming back to Dallas for the first time after receiving a large contract that Dallas didn’t think he was worth. Hopefully he proves them wrong this weekend. UPDATE: Chris Canty is not coming back. yo guys, if you don’t mind I’d like to be involved in some of these discussions. C’mon Jesse!! You picked Dallas to win too? Canty being out won’t have THAT much impact, will it? I’m a huge Dallas Cowboys fan and I’m proud to say it… My whole family has been split down the line between Cowboys & Giants. Coincidentally, both my mom & dad are Comboys fans. Even if I had no connection to the Giants with my family, or if I wasn’t from Dallas, I used to attend their games and next weekend I’m going to visit my friend to attend them. I’ve before compared tickets prices before from Ticketwood for free. I can’t wait to be there! !